These are the simple recipes I use to cook veggies on the week nights. Most are quick, and those that are 30 or 35 minutes, only have an active cooking time of about 5 minutes. Many of these are featured on What’s for Dinner? 4 Weeks of (different) Home-cooked Meals. 2.) 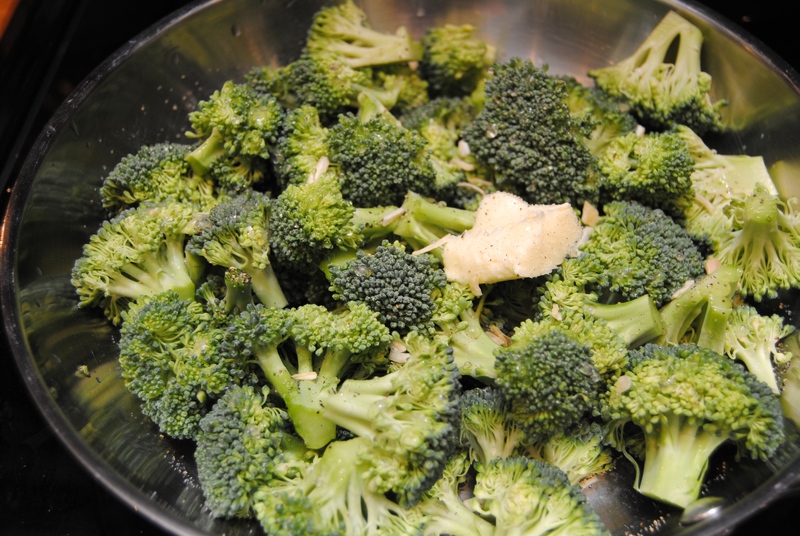 Add all ingredients to a gallon Ziploc bag and toss until veggies are evenly coated. 3.) Place in a parchment paper or foil-lined casserole dish or baking sheet in a single layer. 4.) 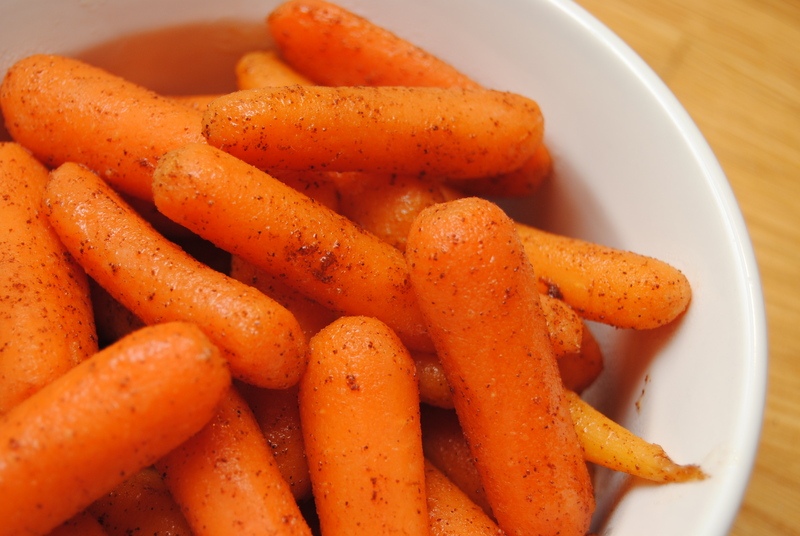 Bake carrots for 25 – 30 minutes or sweet potatoes and butternut squash for 30 – 35 minutes. Check with a fork to ensure they are at the desired tenderness. 4.) Bake for 20 minutes. 2.) Add all ingredients to a gallon Ziploc bag and toss until potatoes are evenly coated. 3.) Place in a parchment paper-lined casserole dish or baking sheet in a single layer. 4.) Bake for 25 to 30 minutes. 1.) Add all ingredients to a gallon Ziploc bag and toss until zucchini until it’s evenly coated. Allow zucchini to marinate for 10 to 15 minutes. 2.) Place each piece of zucchini on grill. Grill each side 3 to 4 minutes. 1.) Place all ingredients (except the parm) in a medium sauté pan and set range to medium heat. Cover and cook until the water cooks out or until broccoli is to desired doneness (for me, 8 to 10 minutes does the trick), stirring occasionally. 2.) Remove from heat and sprinkle with parmesan cheese. Place lid back on pan to allow the cheese to melt. 2.) Place asparagus in a casserole dish, and add all ingredients. Stir until asparagus is evenly coated. 3.) Bake for 10 to 15 minutes, or until asparagus is to desired doneness.